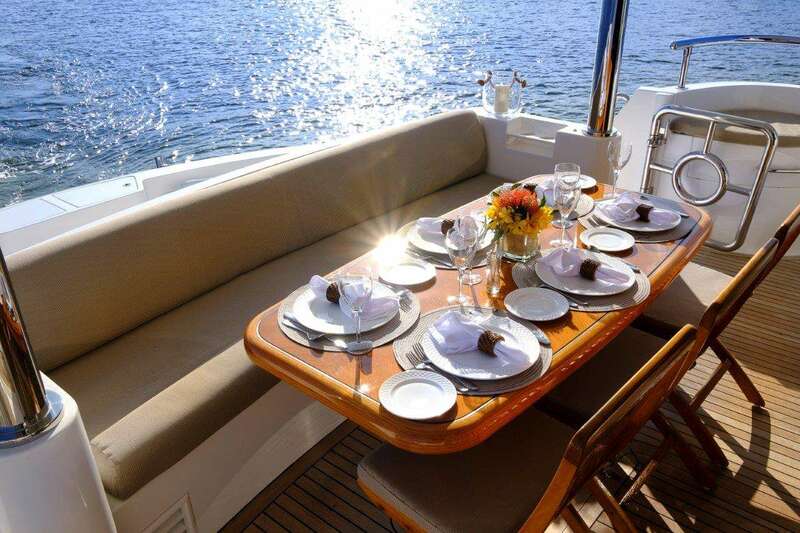 Silver Lining is a 3 stateroom open layout with a voluminous 20’6” beam and numerous luxury packages. 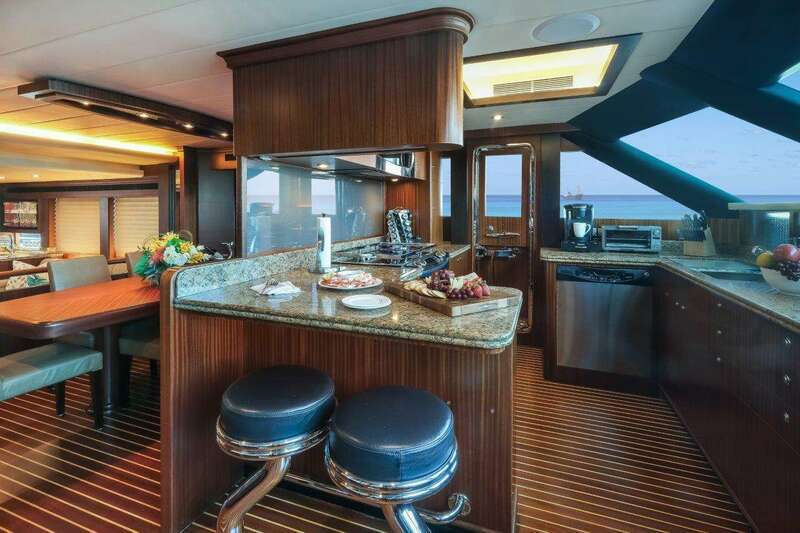 The main salon opens with stainless steel sliding doors, revealing a wet bar to port with granite counter top, a U-Line refrigerator and ice maker, sink with faucet and glass-front cabinet with a complete set of stemware. 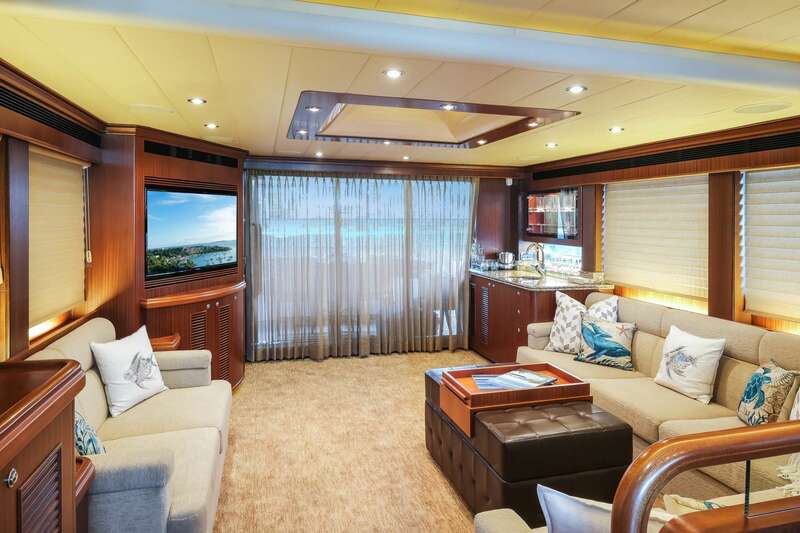 Forward of the bar is an elongated L-shaped loose sofa, and to starboard is beautiful cabinetry containing a 42” color TV as well as additional seating with a love seat. A unique overhead skylight in the center of salon allows for a tremendous amount of natural light. 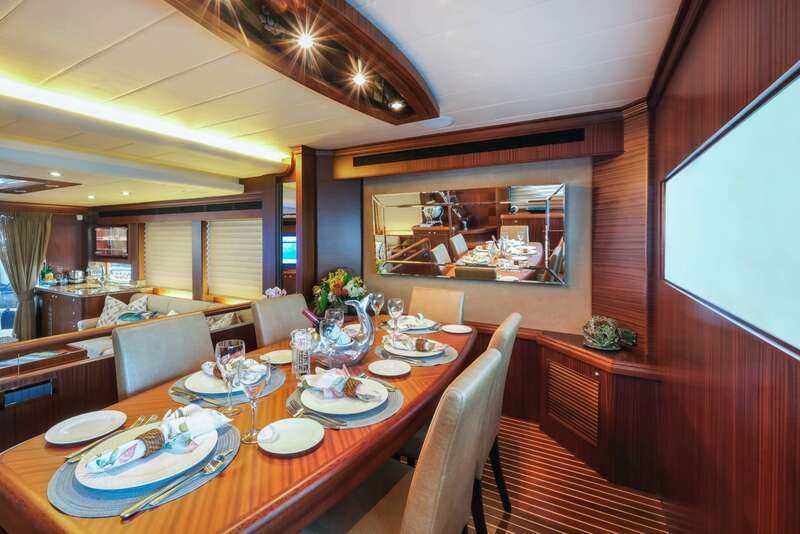 The “open” design features the galley forward of the salon. Stairs lead down to the staterooms, which include a master, VIP and a twin cabin. The master features double entrance doors with a wood engraved pattern in the foyer landing leading into the stateroom. 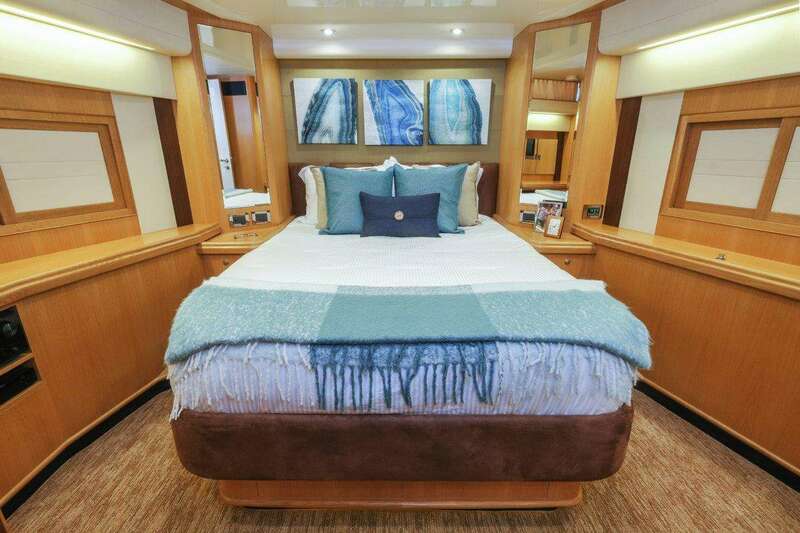 Included in the master suite is a Kingsize mattress, pop-up vanity table with chair, escape hatch into galley, color TV, full height hanging locker and half-height cabinet with (4) large drawers, (2) nightstands with three drawers each and additional storage port, starboard and under the berth. 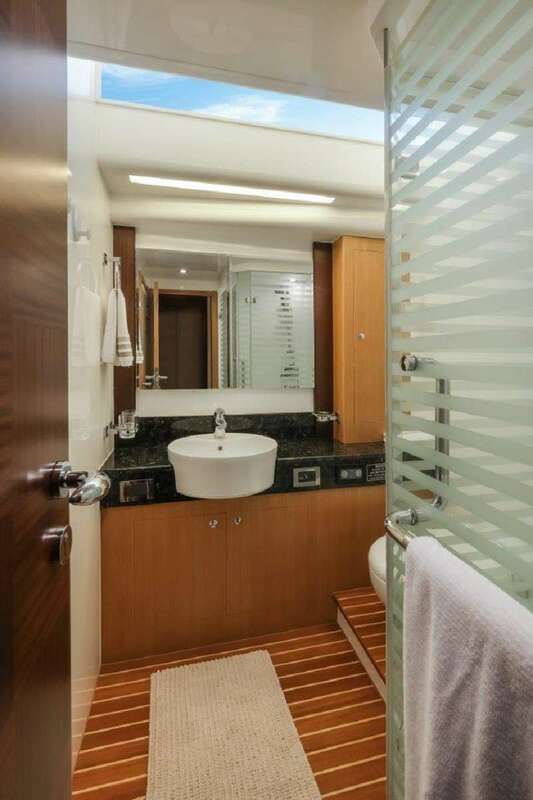 The master head has double sinks, large shower with bench seat, Tecma toilet and round portlight with screen. 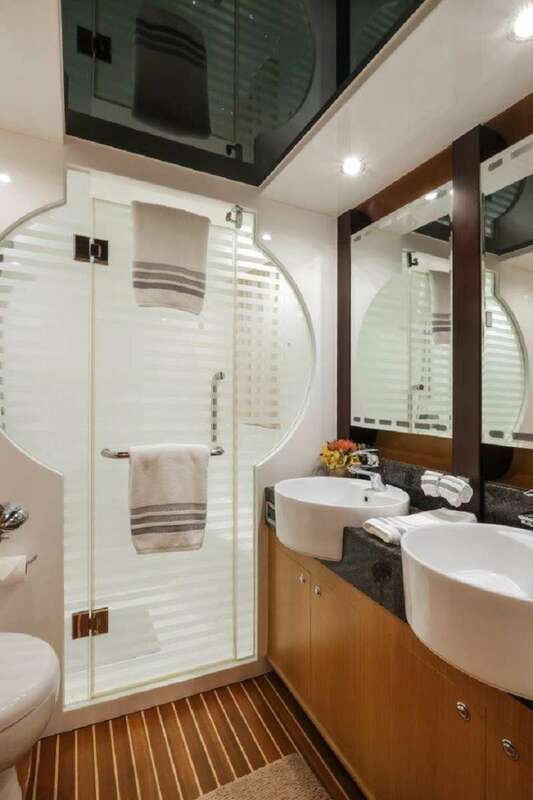 Forward of the master to port is the guest stateroom with two single berths and drawers underneath, a hanging locker, night stand with (3) drawers and the head (also accessed from the companionway) is fully equipped with a shower, sink, Tecma toilet and opening portlight. 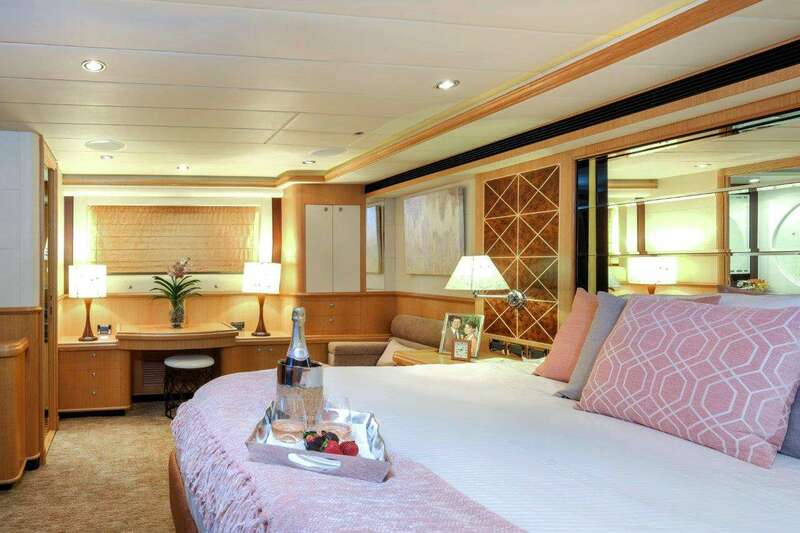 The VIP stateroom is located forward with a Queen-size double berth, full height hanging locker, overhead hatch plus large windows port and starboard, vanity table with seat a fully equipped private head and shower. The companionway includes a stack washer/dryer and (2) linen lockers.